“Sponsored ads are becoming just as important on ebay and Amazon as they are with traditional Pay Per Click. Make sure you plan your campaigns properly and you manage your spend properly to make sure you maintain good profit margins.” Darren Ratcliffe, Founder at Digitl. I very much hope these will help you out. Here’s a sales chart from one of our clients. 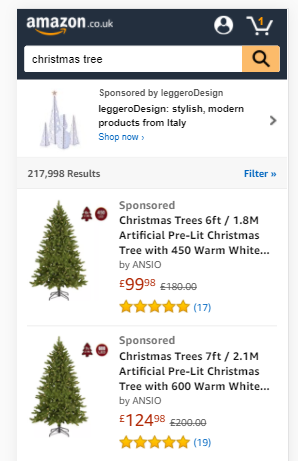 With 30% of sales coming for Amazon Sponsored Campaigns, this client takes it very seriously.